Just want you to know that I am not wishing Christmas to be here any too soon. It seems like this has been the fastest year ever for me. I would gladly return to January and begin again if I could. 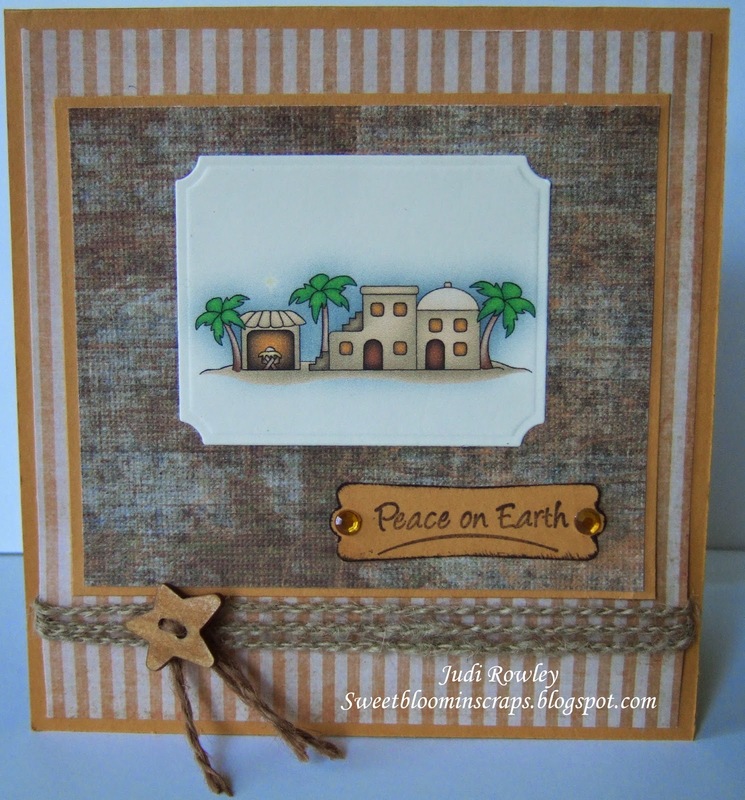 But nevertheless, I created these two Christmas cards with Doodle Pantry's Mini Bethlehem pre-colored image. And as you can see I managed to create two cards to add to my Christmas cards for this year. Loved this little Bethlehem scene! The sketch was super quick and easy. 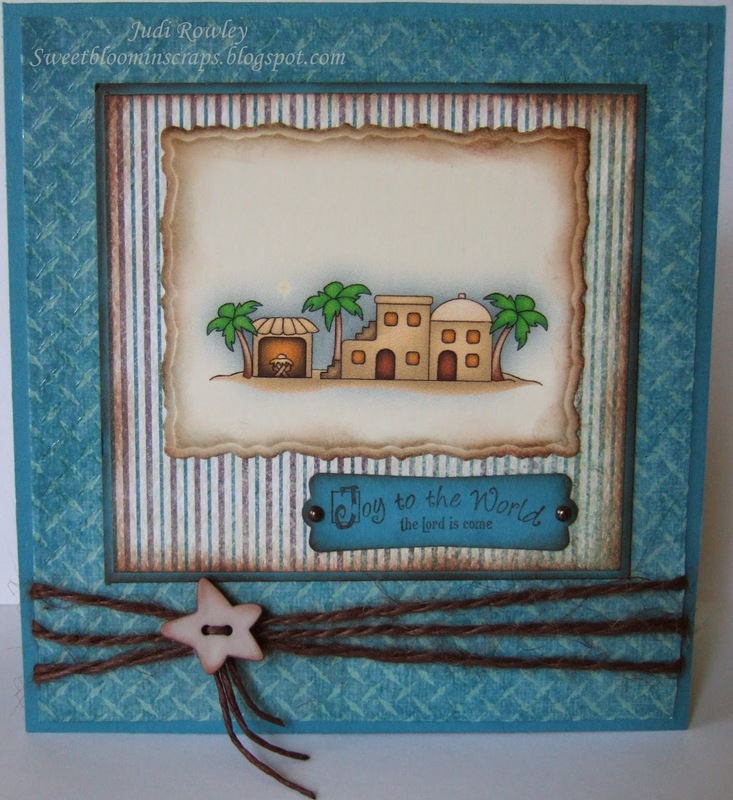 Sentiments came from a jar of 30 Holiday Rubber Stamps by Inkadinkado. First time use, I think!....It's always amazes me what I can find in my craft room! 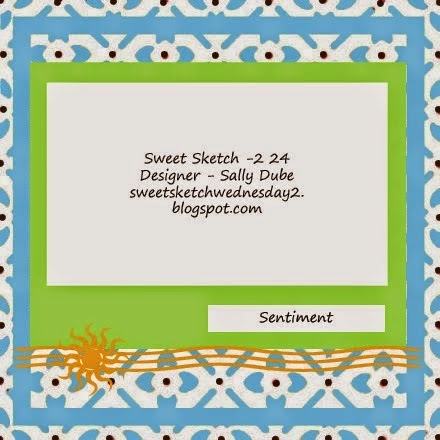 I hope you will take the time to play along at Sweet Sketch Wednesday 2 this week. 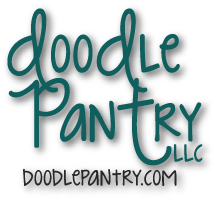 The prize to our winner will be a $10 coupon at Doodle Pantry! Hope you have a very creative week! Two beautiful card Judi for your Christmas collection! Love the sentiments, perfect with this peaceful scene. So happy to "see" you this week! Happy weekend. Oof, no ... I can't repeat this year but I agree, it IS going quickly! Good idea to use this image. I need to get going on my Christmas cards too. It was good to have you back on Sweet Sketch, if only for the week (miss you!!) Your biscuits look delish too! Welcome back Judi I do miss you !!! make it a bi weekly visit that would be nice....Yes Judi I have to agree with you this year is going by far to quickly and at the same time we are all getting that much older. I love your sweet image and I just love your Christmas cards that's another two you can cross off your list to be made. Looking at your older post we don't call them biscuits, here in NZ, Australia, England they are known as Scones. I've been using the lemonade, cream recipe for years now they are so moist, I sometimes add grated apple and cinnamon, chopped up dates or sultans. They don't dry out the next day and are always moist and so easy peasy to make. Take care and have a wonderful week. Hi and Happy that you could join us this week. What sweet, sweet cards! The papers are perfect to set off the images. Have a super weekend. Judi, your cards are gorgeous. I love the brown color combos. It makes me want to start making cards for Christmas. Hope you are having a great weekend. Live love love that image and your cards are beautiful - perfect Christmas cards!! I always love to have you join us Judi! !